Successfully Added NO.1 D5+ Android Smart Watch - 1.3 Inch Display, Heart Rate, Pedometer, Bluetooth, Compatible With Android (Black) to your Shopping Cart. With the stylish NO.1 D5+ smart watch, you will be able to enjoy the convenience and flexibility of having a second smartphone located right on your wrist. With its Android operating system, this smart watch phone allows you to enjoy all the similar features your phone has to offer. Simply insert your SIM card and you are ready to make phone calls, send messages, and browse the web straight from your wrist. Alternatively, you can sync the watch with your Android smartphone to get instant updates and notifications on the go. With a sleek 1.3 inch touch-screen, this Android smart watch fits perfectly at any wrist while, at the same time, providing a large enough screen on which to enjoy all the latest Android features. Its Quad-Core CPU and 1GB or RAM guarantee that the NO.1 D5+ Smart Watch can handle the latest Applications that are available for free through the pre-installed Google Play store. With 8GB of internal data this Android watch offers enough data storage for you to download and try out the latest Apps that Google has to offer without needing to worry about running out of storage space. In today’s busy world filled with the rush of meetings and packed schedules, it’s important to keep your priorities straight and not forget about staying fit and in shape. This is why the NO.1 D5+watch phone features both a heart-rate monitor and pedometer to help you stay motivated and to keep track of your exercise. With this sports watch, you can be assured that you will never miss an exercise again. Additionally, the watch holds an IP65 waterproof rating so you don’t have to be afraid of a little rain while going out. 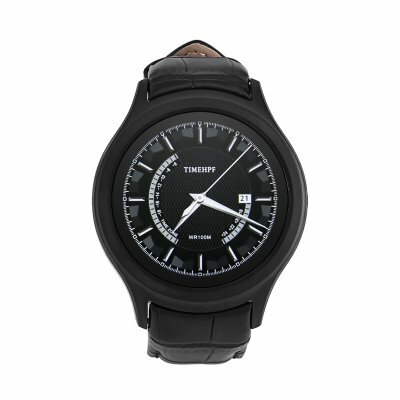 Holding a 450mAh battery this sports watch offers up to two hours of continuous usage time and 72 hours on standby, making this stylish electronic gadget the perfect accessory that can be worn at any occasion. The NO.1 D5+ Android Smart Watch comes with a 12 months warranty, brought to you by the leader in Phone Watches as well as wholesale electronic gadgets..